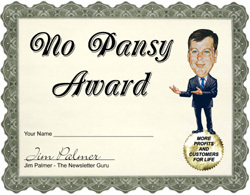 Thank You and Welcome to No Hassle Newsletters! You’ve made a great decision for your business and one that will produce a great return on your investment. To help make this the best possible experience, please watch this welcome video where I point out seven important steps to help ensure your success!